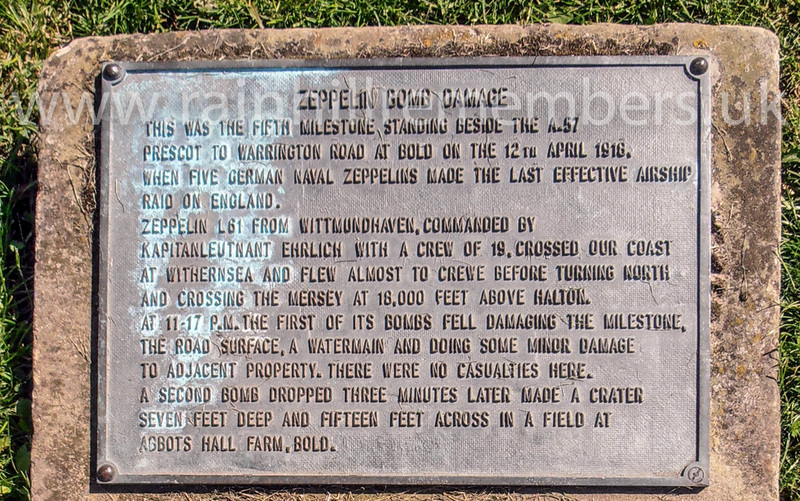 ​April 12th 1918 was an apparently calm and clear day in Wittmundhaven, Germany when five Zeppelins lifted off to bomb 'Middle England'. 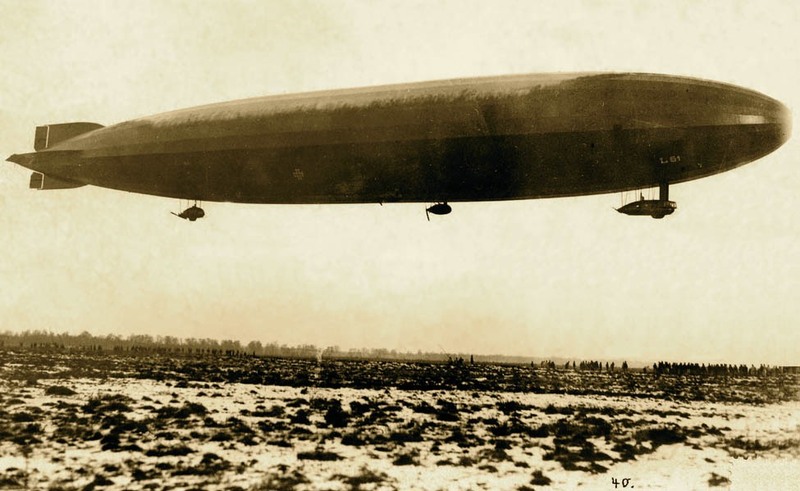 Leaving the airfield at 3.07pm, Zeppelin L61 crossed the English coast by Withernsea, Yorkshire at 9.15pm. Once over Britain, the weather deteriorated and conditions became misty and overcast allowing two of the Zeppelins (L61 and L62) to penetrate deep into Britain. Flying at 16,400ft, the L61 commanded by Kapitanleutenant Ehrlict and with 19 crew on board, set course for the important target of the Sheffield steel works. A strong upper-air easterly wind however, pushed the Zeppelin faster than Ehrlict calculated and the airship passed four miles south of Sheffield without him seeing the city and its furnaces. The flight path took L61 over Cheshire and her engines were heard over Northwich, where two anti-aircraft guns opened fire unsuccessfully. The 'Zepp Warning Hooter' sounded, but it was too dark and murky for the airship to be seen. The L61 turned north, crossing the Mersey at Runcorn flying at 18,00ft. The Commander never realised how close he came to the strategic target of Liverpool. L61 dropped the first bomb at 11.17pm on the Rainhill boundary with Bold at Bold Bridge, fracturing a water main and damaging a milestone on the A57. Three minutes later a second bomb dropped in a field at Abbots Hall Farm creating a crater the size of a small cottage. 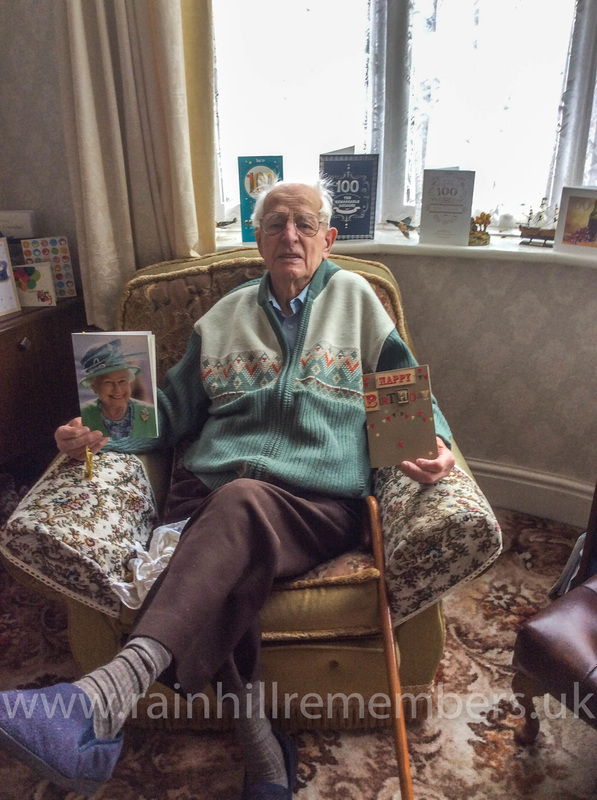 The late Frank Jones was at that time a three year old living with his parents in Tasker Terrace, Rainhill. He vividly remembers being taken to the door by his mother to see the Zeppelin flying overhead. He remembers Patrick Fahey 'the Village Bobby' standing on the footbridge and firing at the L61 with his air rifle! 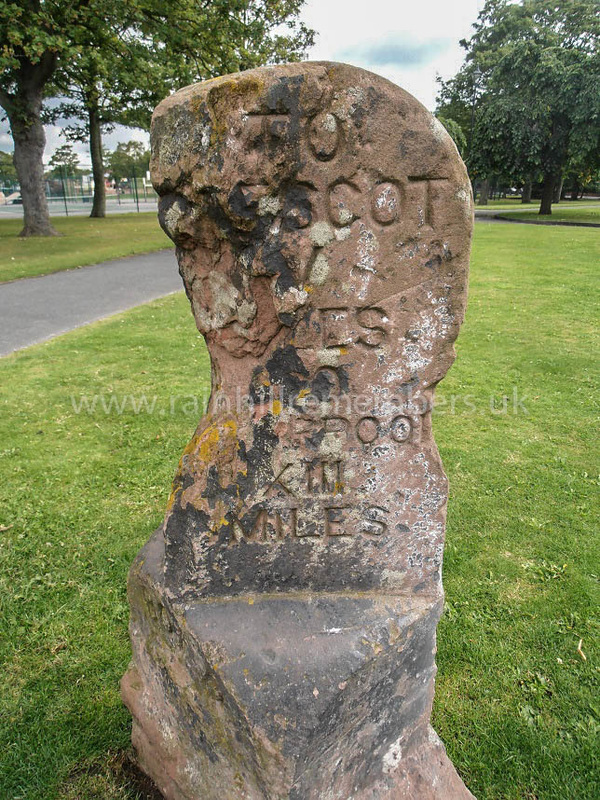 The damaged milestone was moved from its roadside position, but in 1978 Frank Jones found it lying neglected in a Widnes park and began a campaign to rescue it. 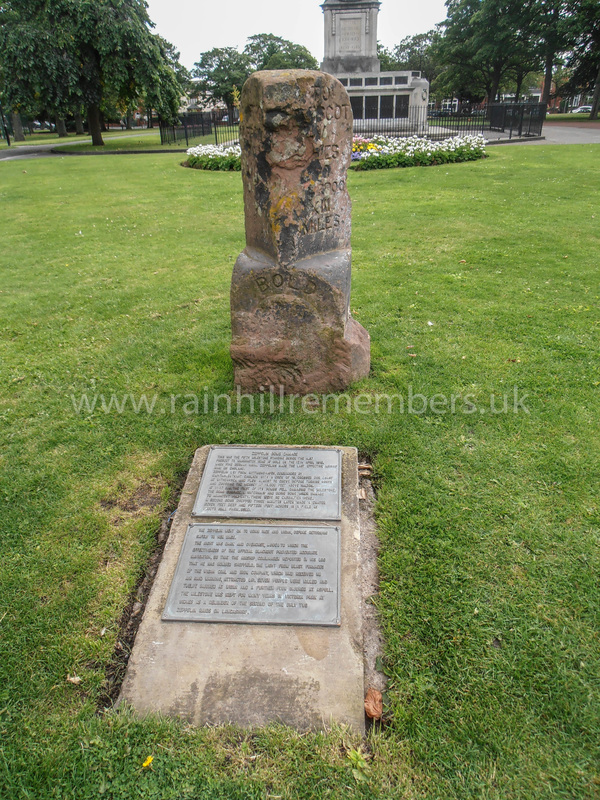 The milestone now stands in Victoria Park, Widnes near a circular flowerbed opposite the gates onto Highfield Road. 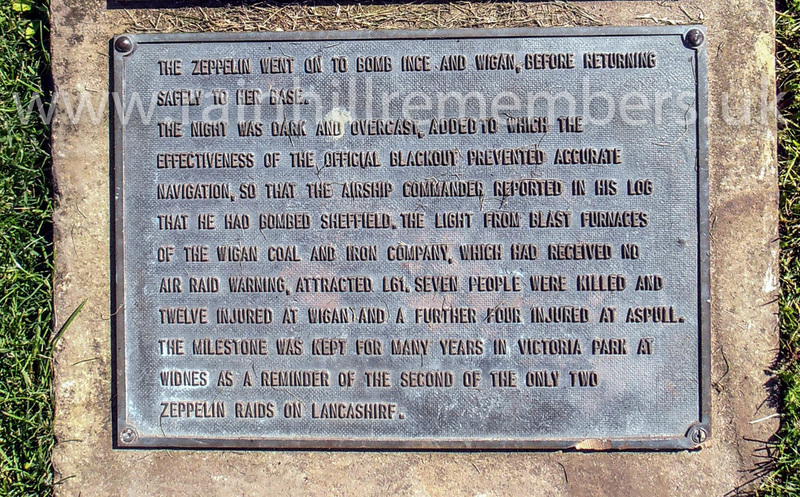 Alongside is a plaque recording its history, composed by Peter J.C. Smith, the recognised authority on the Lancashire Zeppelin raids.